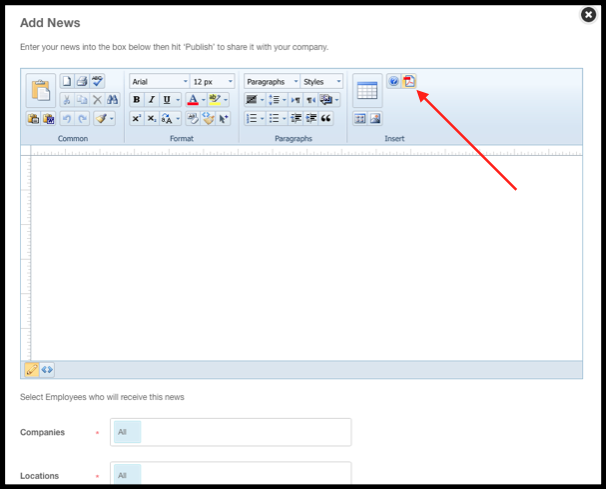 When attaching a PDF docs, this will create a link in the news post that an employee can click on to be directed to the PDF document. The PDF document itself will not be displayed on the news post. 4. 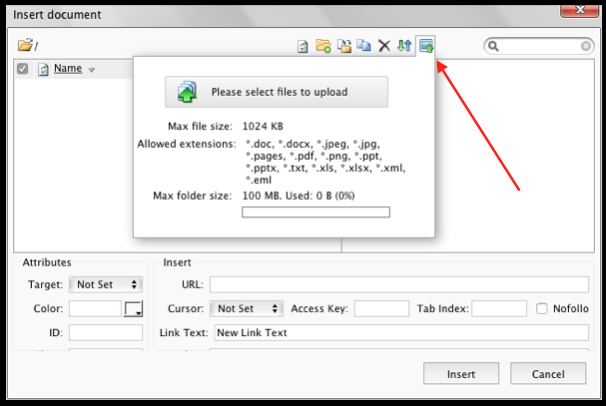 Once you have selected the file, click on insert, and your file should appear in the text editor.